With his immense experience, Dr. Katragadda will bring a fresh approach in the company which will be useful for technology development, product strategy and overall business strategy. Dr Katragadda is the Founder & CEO of Myelin Foundry, an AI company with a vision to transform human experiences human experiences and outcomes in healthcare and media & entertainment. He is also serving as an Independent Director of Bosch India Limited. 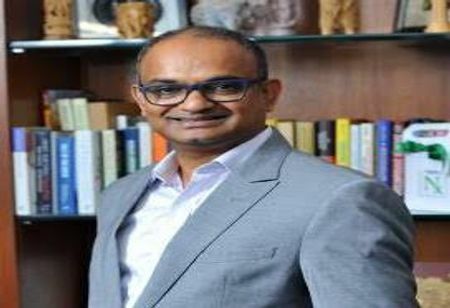 Till January 2019, Dr Gopichand was the Group Chief Technology Officer and Innovation Head of Tata Sons. At Tata Sons, he facilitated the development of pioneering products and services, strategic technology collaboration, and innovation across the $100 Billion Tata Group. Previously, as the Chairman and Managing Director of GE India Technology Centre, he helped grow GE’s largest R&D Centre – the John F. Welch Technology Centre, to be amongst the world's leaders in intellectual property generation. Dr.Gopichand is the Chairman of the CII National Technology Committee and the CII Western Region Innovation Taskforce. He is a Fellow of the Institute of Engineering and Technology. He is a GE Certified Six Sigma Master Black Belt. He helped establish the Advanced Materials CoE at IIT-Madras and the Advanced Manufacturing CoE at IIT-Kharagpur. He has framed the CII-Tata Communications Digital Transformation CoE. Dr.Gopi and also set up and managed the ongoing Tata research collaborations with Harvard and Yale. He has authored a book on innovation titled “SMASH,” currently in its second edition.